The court was acting on a petition by a lawyer who argues that the morning prayer is in violation of the constitution as it promotes a particular religion. The lawyer's children also studied in the Kendriya Vidyalaya. 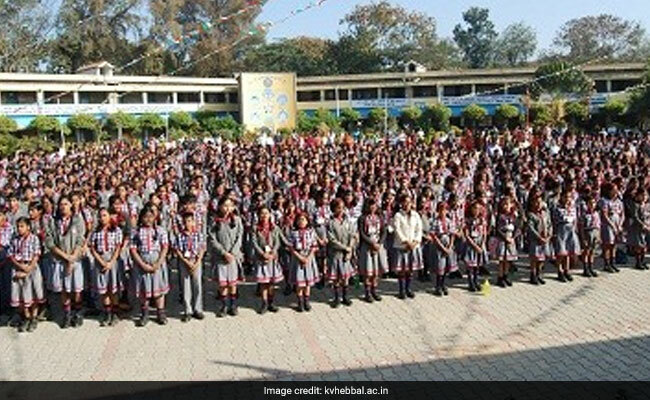 The prayer has been sung since 1964 in more than 1,100 Kendriya Vidyalayas across the country. New Delhi: Whether a morning prayer at Kendriya Vidyalayas or central government-run schools across the country promotes the Hindu religion and defies constitutional principles will be examined by the Supreme Court, which today asked for the centre's view. "It is a serious constitutional issue," the top court said, asking the centre and the Kendriya Vidyalayas to respond within two weeks to a petition that says the prayer is unconstitutional as it promotes a particular religion. The prayer in Hindi has featured in the morning assembly in more than 1,100 Kendriya Vidyalayas across the country since 1964. It ends with a Sanskrit shloka. Lawyer Veenayak Shah, the petitioner, argues that the prayer is in violation of the constitution and "impedes nurturing of reasoning and scientific temper among impressionable young minds". "The prayer is in Hindi and Sanskrit. Students of other religions have to compulsorily attend the assembly and recite it," said Mr Shah, whose children also studied in a Kendriya Vidyalaya. Urging the court to put a stop to any kind of prayer at these schools, Mr Shah said that "there is no scientific reason to call this prayer beneficial, so it should be scrapped." The prayer is "constitutionally impermissible", says his petition, adding that institutions funded by the state cannot propagate any religion. Compulsory shlokas and prayers, the petition says, are contrary to the Articles in the constitution that state that "no religious instruction shall be provided in any educational institution maintained out of state funds" and "all citizens shall have the right to freedom of speech and expression."